November 18, 2014 bcalvanocoaching2 Comments on Weekly Angel Card Reading for November 17 through 23. Weekly Angel Card Reading for November 17 through 23. Hello dear ones! This week I was guided to use the Healing with the Fairies Oracle Cards by Doreen Virtue. My next live radio show will be Saturday November 22nd at 4pm EST where you can call in for a reading at 424-675-6837. I look forward to having you join me! My topic will be how to have a ‘Stress Free Holiday Season’ with the support of the angels! Listen to to hear useful tips and information that can transform the typically filled anxiety ridden weeks to moments of radiance, peace and joy! 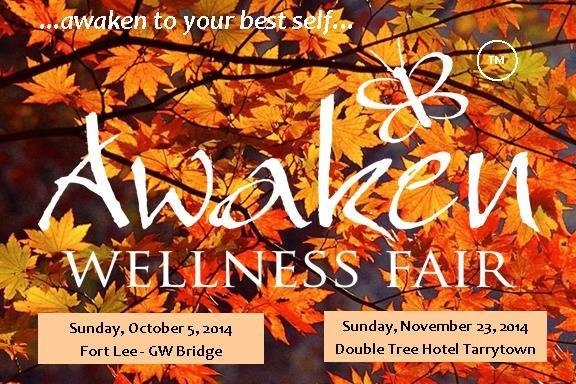 Join me this Sunday November 23rd at the Awaken Fair in Tarrytown, New York. http://www.awakenfair.com. I will be giving 15 & 30 minute readings channeling angelic guidance and coaching. The angels main concern is helping us remember our Divine life purpose and giving us the courage to fulfill this important mission. The fairies are more involved with helping us to “lighten up” so we can have more fun. Fairies are nature angels so when working with them spending time and honoring nature creates a powerful connection with them. 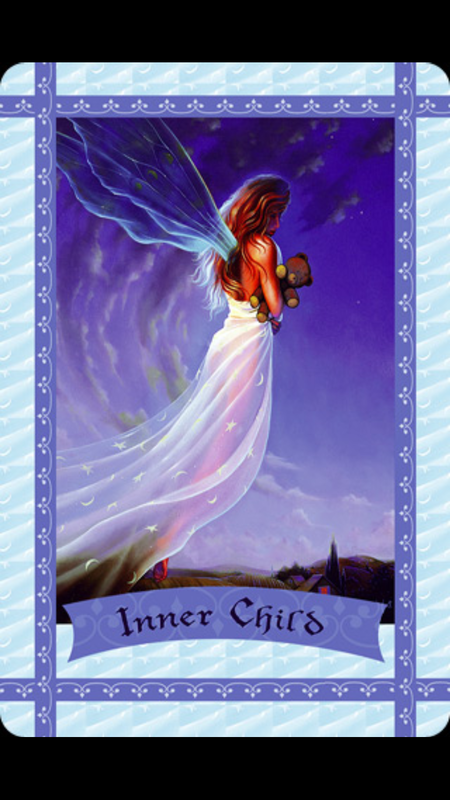 For Monday and Tuesday we have the message, “Inner Child” The guidance this week from the fairies includes self nurturing and paying attention to what your inner child or self needs. Most of us are so good at going on automatic, helping others, and paying attention to others needs. This week it’s about listening to your inner child’s voice. What do you want and need? Do you need to slow down, stop the negative critical self talk, eat healthier, have fun, play or get some exercise? Perhaps you need to acknowledge yourself for all that you have accomplished this year. Self love and honoring ourselves are simple but powerful actions. This is a message of the importance of slowing down and caring for yourself. As we enter the holiday season it’s so beneficial to prioritize time for you so that you can best serve others with joy and peace. For Wednesday and Tuesday we have the message, “Make Music”. Sound is a powerful tool and energy. Notice how you feel listening to different types of music. 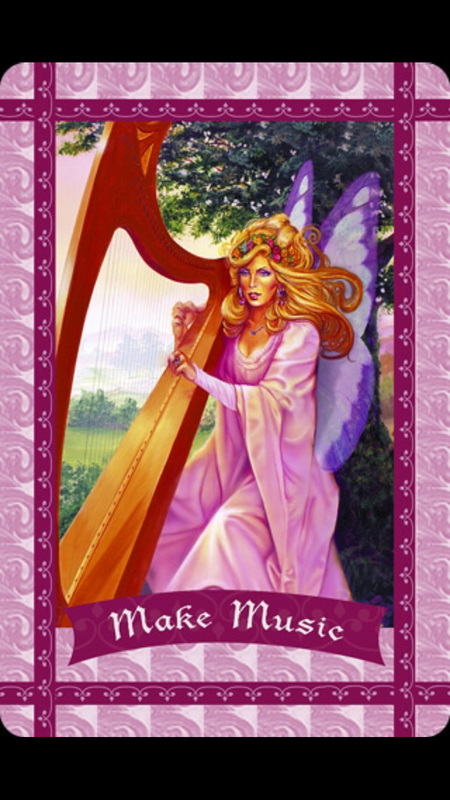 The fairies are suggesting that by engaging in music either by playing an instrument, singing or listening, not only will it raise your vibration but actually provide a space for a solution to some of your questions right now. Pay attention to the lyrics of a song that may be repeating in your head. These words are actually a message for you! Whether it’s taking a mini dance break or two, joining a drumming circle, letting yourself sing out, yes even a holiday tune, free yourself and take a playful actions. Creative solutions and healing are so often found in play and music! For Friday and the weekend we have the message, “Inner Peace”. The message here is to own your power! Let go of any fears about being powerful. The fairies ask you to affirm, “It is safe for me to be powerful.” When we find ourselves complaining, projecting fear or even gossiping there is a high probability that we are not utilizing our own inner power. We may have chosen to be passive out of fear of taking risks. We literally may have put a lid on our true powerful nature and self expression. The memory of powerfully stepping out and experiencing a painful outcome may often stop us. For the most people it’s easier and safer to live with complaints and look for sympathy.True fulfillment and happiness comes from being free and taking risks. 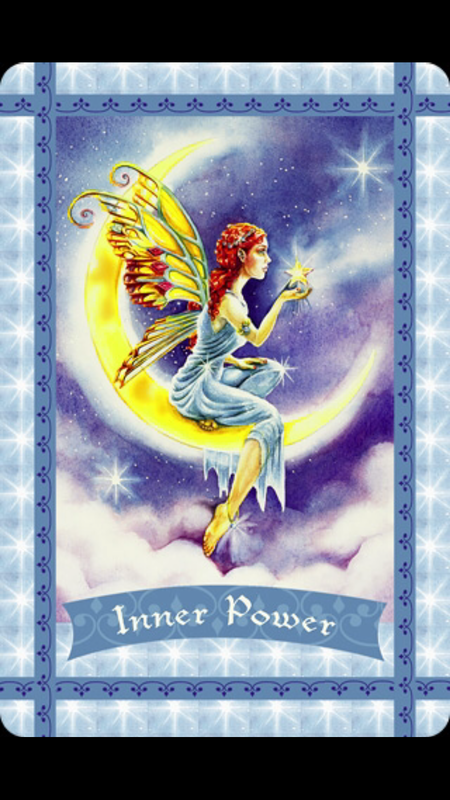 So here we have the fairies this week telling us you have great inner power, use it! It is that simple! The fairies are playful and magical beings reminding us of the delight and magic in life! The coaching this week from the fairies is to take the time connect within and own our power! We are totally supported by the Universe. Creativity and solutions are found by remembering to play, have fun and care for ourselves. Allow music to work its magic and inspire you! There are so many gifts to be experienced if we allow time for connection and expression! As you go about your week go ahead and take risks, have fun! By phone, email, Skype babara.calvano10 or in person in Manhattan by appointment. Personal readings can be for guidance and coaching for any area of your life including relationships, career, life purpose, health. I also provide energy clearing and balancing. COMING VERY SOON! ANGEL DATES aka MEETUPS IN NYC. I am setting up several angel outings/ events this Fall/Winter in the NYC area. These will be 2-3 hours, an opportunity to share and talk about angels, spirituality and healing. We will meet for light snacks or brunch and also visit and experience beautiful, healing, powerful energy places. I am interested in sharing these with and connecting with their powerful angelic presence. These will be free with your cost of paying for your food, beverage or ticket fee if applied. These places include museums, places of worship, holiday sacred music concerts or service, and nature walks. Contact me if you are interested for more information! Bcalvano-coaching@usa.net or on Facebook. Great I will keep you notified! Previous Weekly Angel Oracle Card Reading for November 10 through 16. Next Weekly Angel Oracle Card Reading for November 24 through 30.